This is Sally. 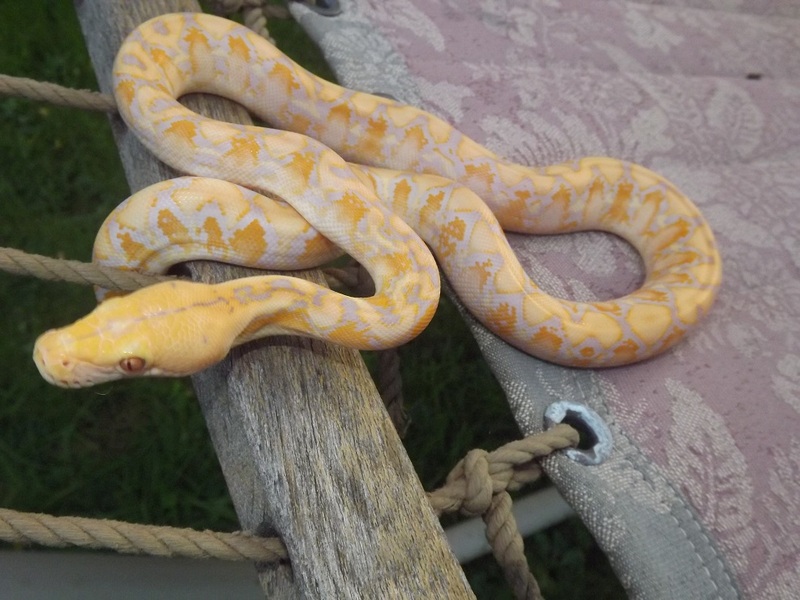 She is a lavender albino het for anery super dwarf retic from Garrett Hartle at reach out reptiles. She is 12.5% Jampea, and 50% Kalatoa. 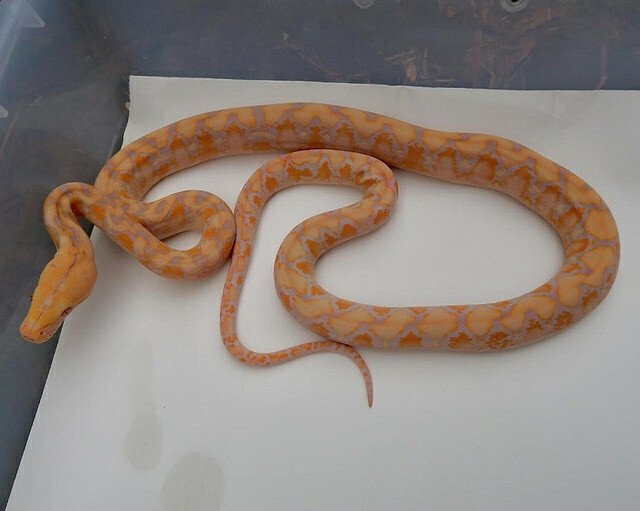 She is from a SD purple snow X SD tiger het albino. Hatched on may 19, 2018 and currently weighs 236g. It took a while to get her but Sally will be a nice compliment to my other retic Jack (Jack & sally from nightmare before xmas). 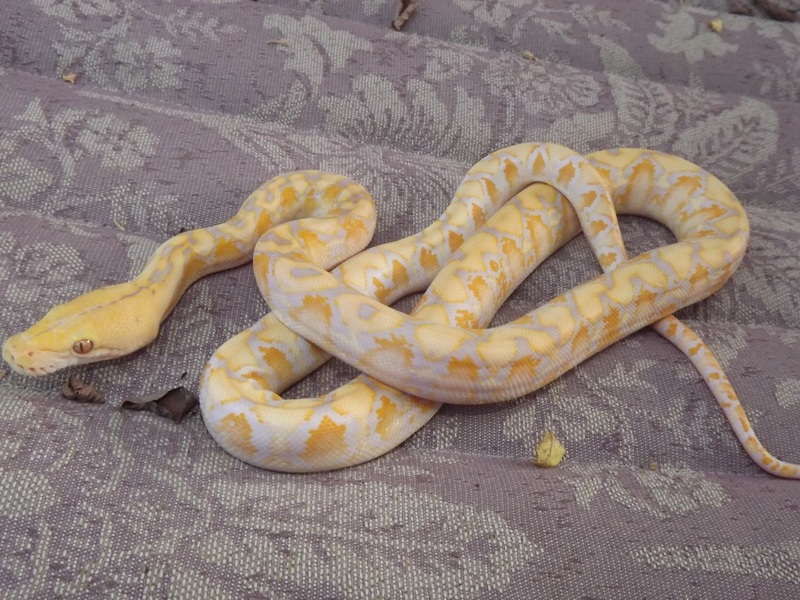 These are two pics I got from the breeder. Her temporary home while she is in quarantine. How big are you expecting her to get? She has been great the little I have handled her. She is very inquisitive. Not head shy or any sign of aggression. She doesn't even mind her tail touched. I'm expecting her to be in the 8'-9' range probably. If I had to guess I would say she is already close to 3'. Hubba hubba. She's a beauty! Congrats, you chose wisely. Nice! Good she's already nice and calm. Yeah, but at 8-9', she's not going to weight 700G!!!!!!!! She's going to be a big girl. . It's crazy how the bigger boids pack on the weight and girth as they get older. 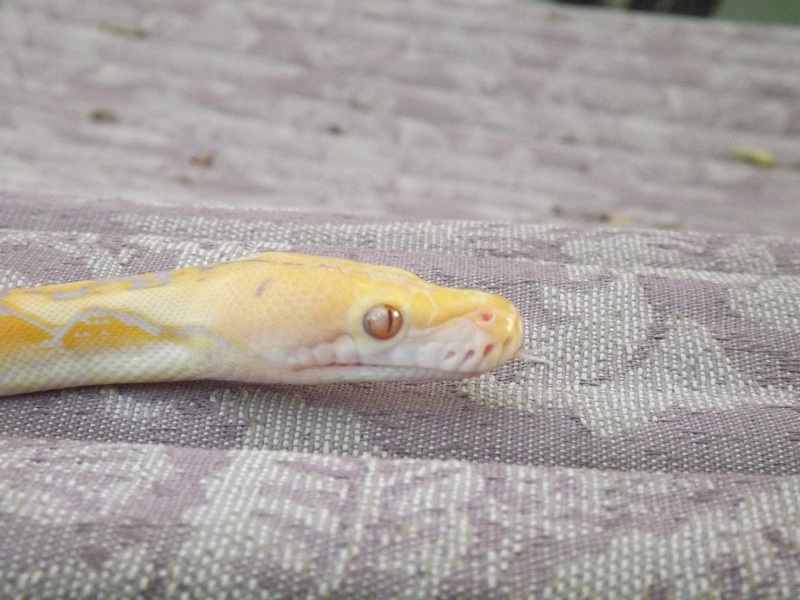 I tell people Behira (BCI) is going to be 2-3FT longer when she's full grown (she's about 4-4 1/2FT now and 1,100G). They are impressed, but also tend to say, that's not too bad. Then I tell them she will weigh 15-25 pounds give or take (she's 2 1/2 pounds now) and be as thick as my leg. That's when they tend to freak out a little. She's such a puppy dog though, it doesn't scare me at all. 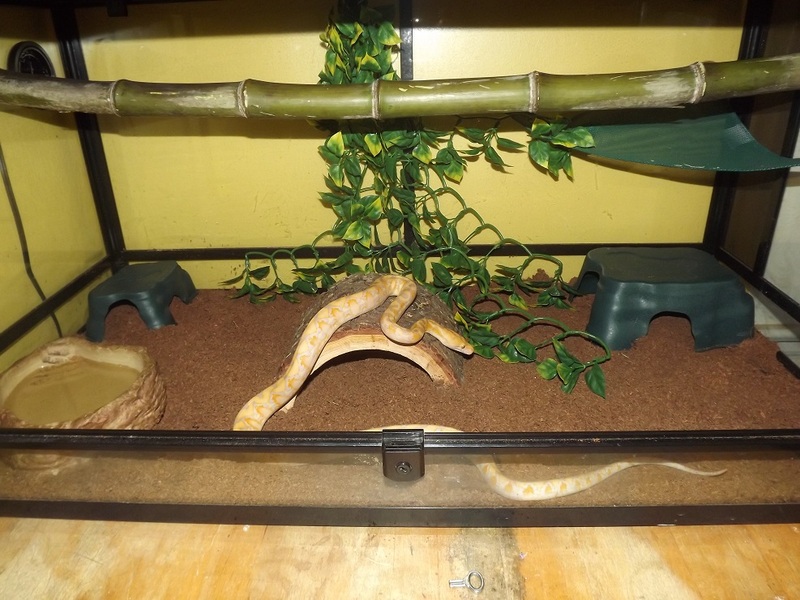 Glad to hear Sally is on the right track and has a good Snarent who already has a retic (and many other snakes if I recall). Good luck with Sally and keep us in the loop. Hey ya 67... 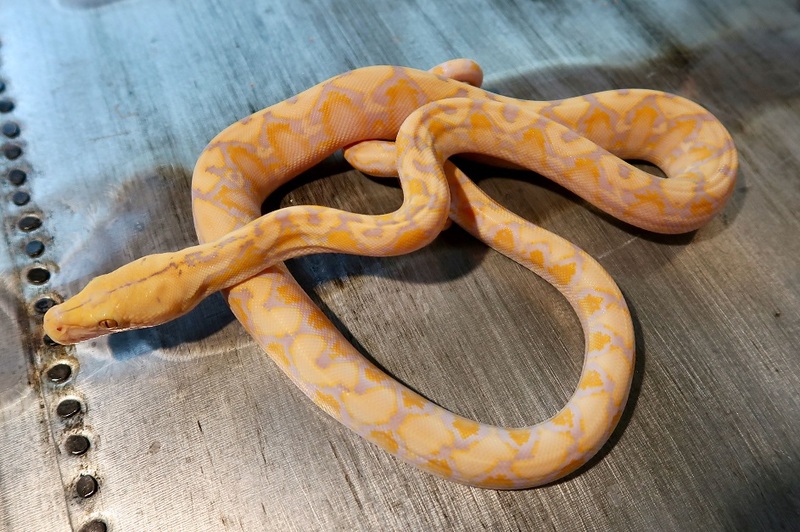 I dont get much into the retics, Sally is very beautiful and her coloring is stunning! She is going to look amazing full grown. Thank you for sharing. Who Says Life Can't Be AWESOME!!! Very nice, congratulations and thanks for sharing. Crazy difference in color from your pics and the breeders, very pretty and no doubt the pictures do little justice to the real deal. Congrats.